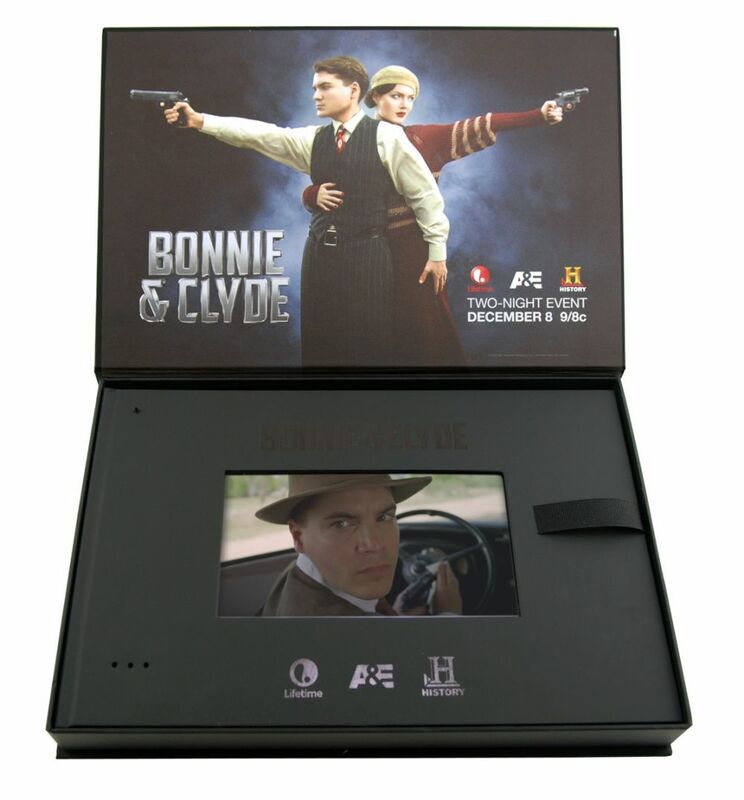 A&E, the History Channel and Lifetime were set to do a triple simulcast of the historical mini-series, Bonnie & Clyde. 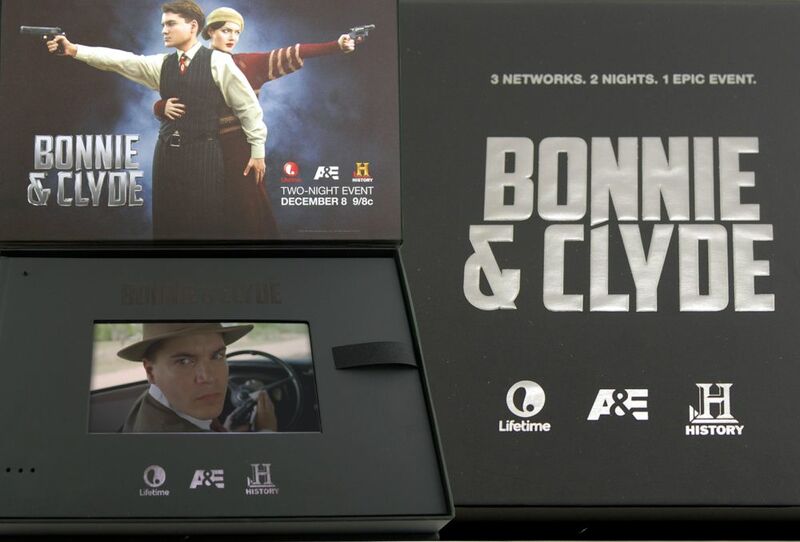 While most networks send out DVDs and flash drives as press kits, A+E Networks was looking for an innovative tool that would capture the attention of national media outlets and create buzz around this unprecedented show. 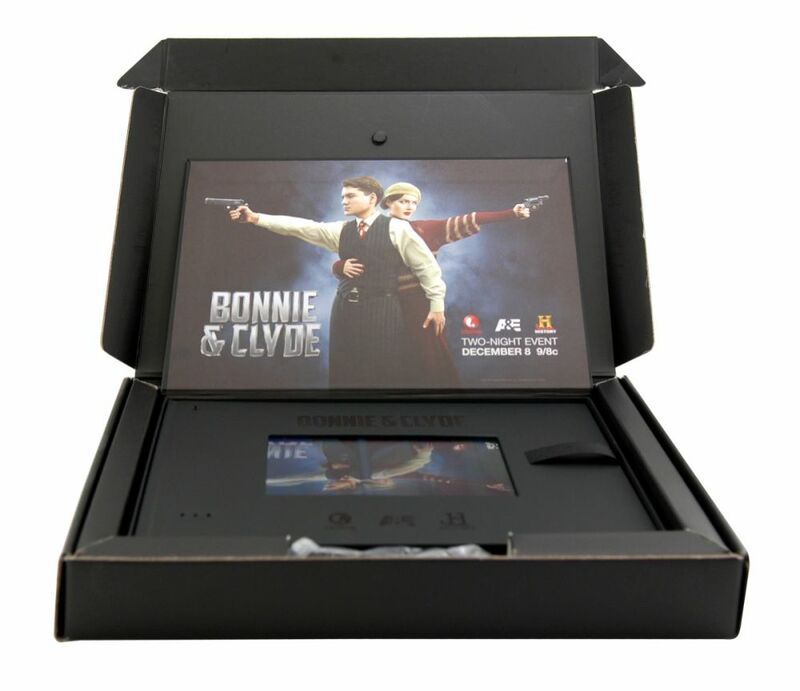 In order to "stand out", Americhip worked with A&E to create an impressive interactive video press kit. 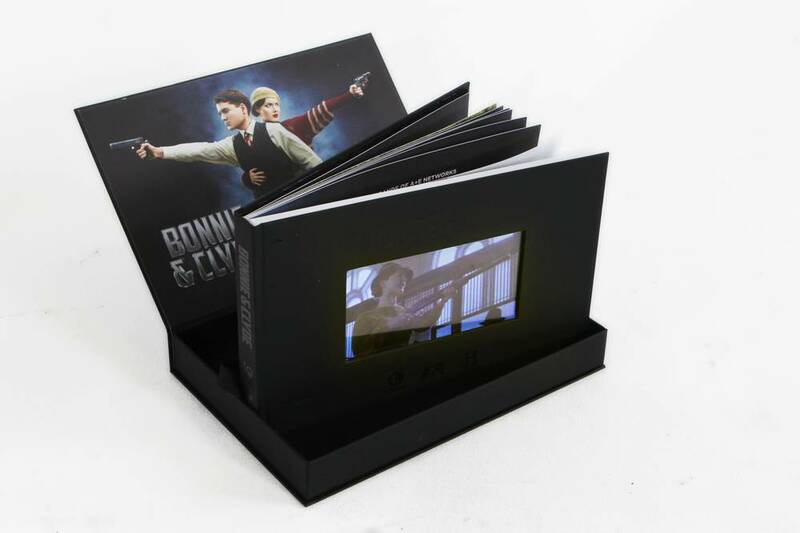 It included an outer box and a specially designed inner box that held a hard case bound book with a video screen on the cover that automatically played a trailer of the show. 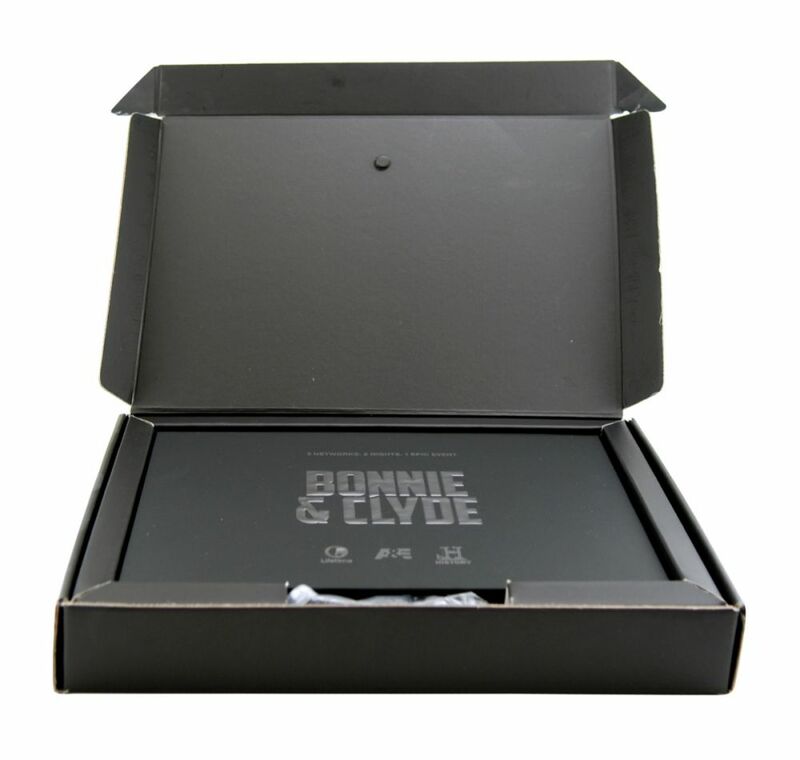 The book itself contained character profiles as well as a hidden compartment for a set of Bonnie & Clyde DVDs. 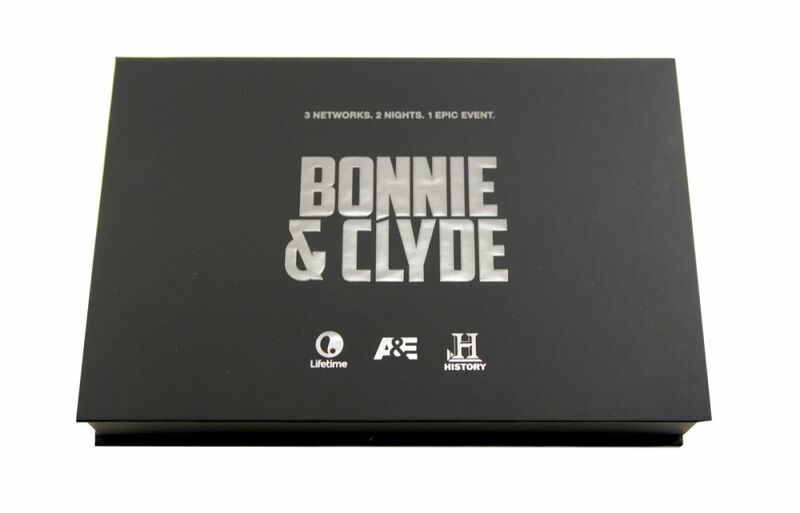 Bonnie & Clyde premiered across the three different networks and delivered major ratings: 9.8 million viewers tuned in, and the docudrama also snagged the top spot as the most tweeted about program of the night. Las Vegas Weekly commented, "we can't remember the last time we ever wrote a story about how impressed we were with a press release!"